MANILA, Philippines - (Updated September 6) The Malacañang Palace announced proclamation No. 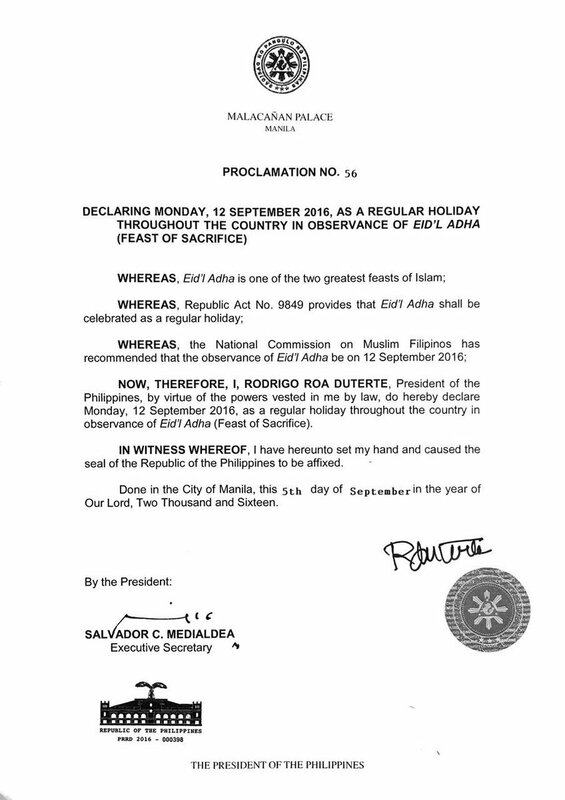 56 declaring Monday, September 12, 2016 a regular holiday throughout the country for Eidul Adha or "Feast of Sacrifice." This is after the Saudi Supreme court has confirmed the date of the festival on Friday. Confirmed: Eidul Adha is on September 12, a regular holiday in the Philippines. In a report from Al Jazeera, the annual fest is said to start on September 12, after religious authorities in the kingdom failed to sight the Moon on September 1. 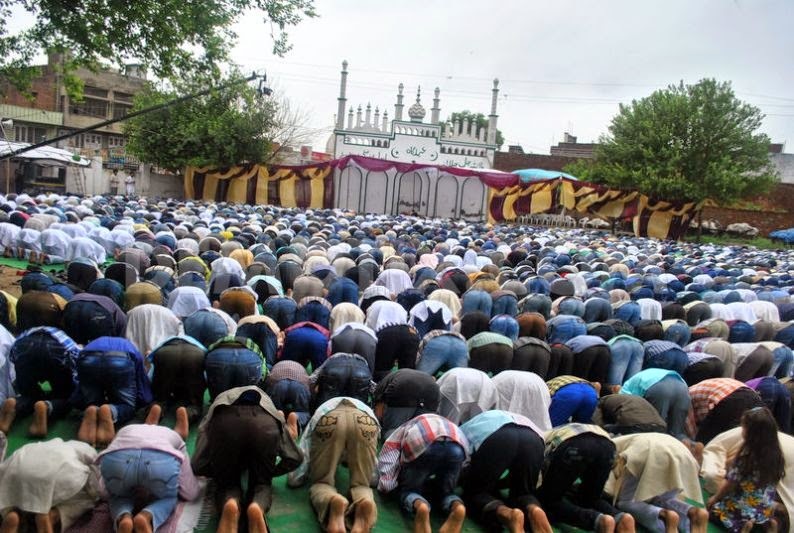 The Eid al-Adha is Islam's holiest festival celebrated annually around the world and an official holiday in Muslim-majority countries like the Philippines. As mandated through Republic Act (RA) 9849 signed in 2009, the tenth day of Zhul Hijja or the twelfth month of the Islamic Calendar, is hereby declared as a national holiday for the observance of Eidul Adha. According to Proclamation No. 1105, s. 2015 for the nationwide holidays for 2016, the National Commission on Muslim Filipinos (NCMF) shall inform the Office of the President of the actual date of Eidul Adha on which this holiday shall fall. Eid al-Adha commemorates the willingness of Abraham to sacrifice his son Ishmael as an act of obedience to God, before God then intervened, to provide him with a sheep to sacrifice instead. Eid’l Adha, which has been a public holiday since 2002 in the country, is one of the two greatest feasts of Islam - the other being Eid’l Fitr or the Feast of Ramadan, which was also declared as a regular holiday on July 6. Like Us on Facebook, Follow us on Twitter to receive real-time announcement.